Starting on Thursday, May 21st at 7PM, Wauwatosa Avenue will be closed to northbound traffic from Harmonee Avenue to Hillcrest Drive. The closure will be in place through Sunday, May 24th. Southbound Wauwatosa Ave will remain open to traffic. The contractor on the Milwaukee Avenue Utilities Project will be connecting storm sewer and sanitary sewer at the intersection of Milwaukee Avenue and Wauwatosa Avenue. Click Here for more information from the city website. 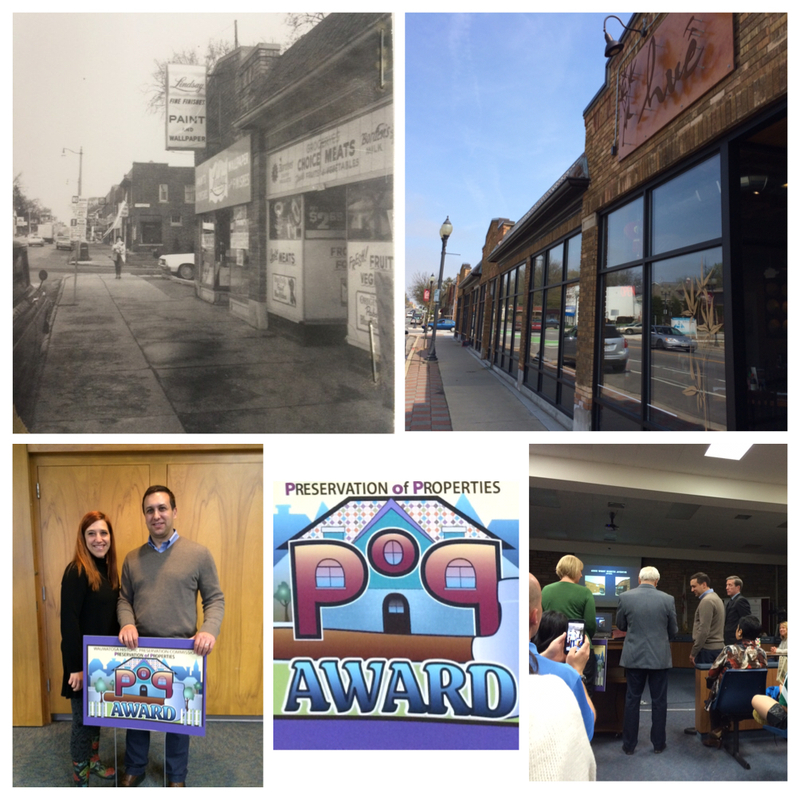 Congratulations to Joshua Jeffers of J. Jeffers & Co. on being awarded the 2015 Preservation of Properties Award by the Wauwatosa Historic Preservation Commission at the May 5th Common Council meeting. J. Jeffers & Co. renovated the buildings from 6505-6519 West North Avenue to create a fresh new multi-use space including Rosencutter Fitness, Cattywampus and Hue Restaurant. The PPNA nominated Mr. Jeffers for his rehabilitation efforts this past February. We are very pleased with the Historic Preservation Commission’s choice and are grateful to Mr. Jeffers for his contribution to our neighborhood. In addition to Tuesday’s evening’s public workshop, two “walking audits”, open to the public, will be conducted on Wednesday, May 20. Participants will meet in front of Little Read Books and will be taken on a guided walking tour of the project area to assess existing conditions including, but not limited to: sidewalk width and condition, traffic volume, parking, street lighting, bicycle use, building appearance, use and access, pedestrian crossings, street trees and plantings, street furniture, and the park spaces and uses. 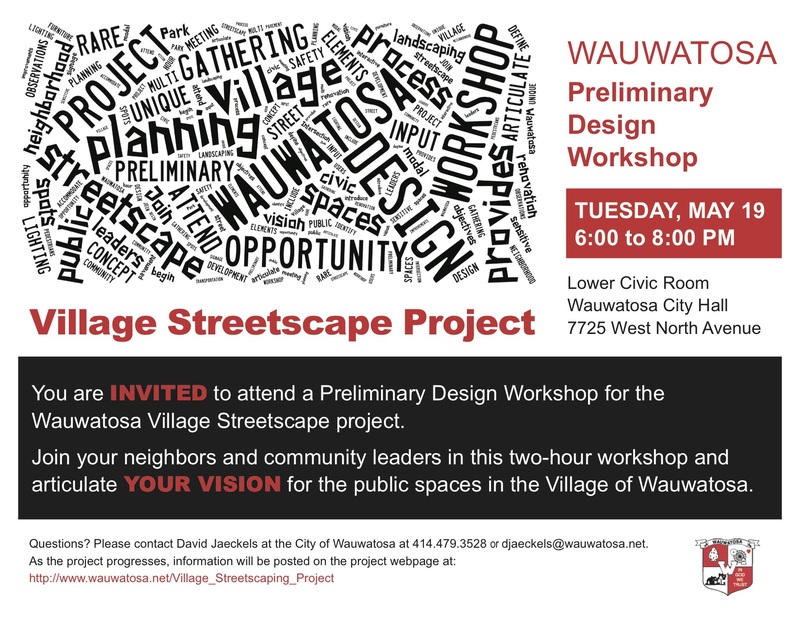 This project provides a rare opportunity to provide input into the planning process for how Wauwatosa’s unique public spaces and gathering spots are designed. The meeting will be an interactive workshop designed to introduce the project, hear community observations, identify opportunities, define objectives, and begin to develop a community sensitive design.